Hit Shanghai high notes on a full-day tour with a local guide who knows the city’s long history and colorful neighborhoods. 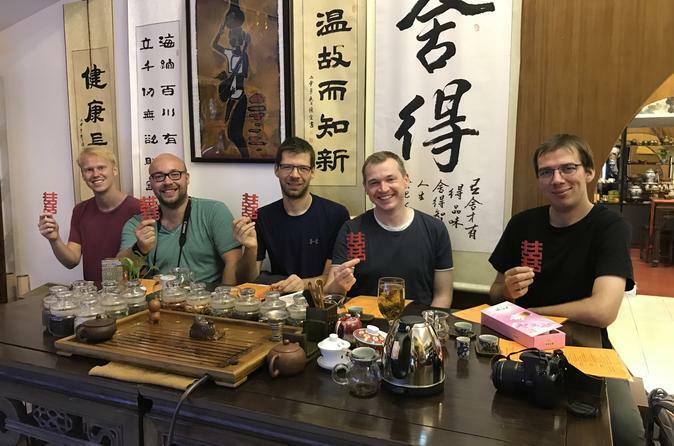 You’ll learn about Shanghai culture and people as you visit major attractions, from the Riverside Promenade to Yu Garden and the Shanghai World Financial Center, then pause for a traditional tea ceremony at a 13th-century Confucian temple. Since this tour includes public transit passes, it’s the perfect way to get your bearings in Shanghai, and it’s limited to 8 people for a fun, personal experience. Tour ends at Yuyuan Garden where you can continue to explore, return to your hotel or get recommendations from your guide.